Smart sensors, integrated into connectors, hoses, tubing, pumps, motors, actuators, and devices such as this pneumatic control valve, offer a significant opportunity to increase predictive maintenance. IIoT-enabled sensors securely provide condition-monitoring/predictive data that can help reduce production downtime by 70%. These days, predictive maintenance is generally viewed as an industry game-changer, spurred by the emergence of IIoT technology (Industrial Internet of Things). A recent study by Accenture, New York City (accenture.com) and GE, Boston (ge.com), found that predictive maintenance can generate a 30% reduction in maintenance costs and as much as a 70% cut in production downtime due to equipment breakdowns. 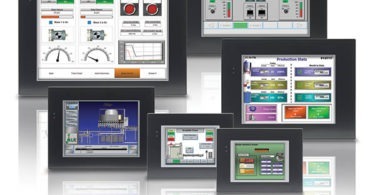 It has long been possible to monitor motion-control equipment on industrial systems. In fluid-power systems, that process has considered factors such as the actuator position and whether the gate is open or closed. Today, things are moving to a whole new level of condition monitoring. The latest sensor technologies available for fluid-power systems have evolved well beyond their earlier counterparts. For instance, traditional solenoid valves, operated by simple contactors in an output card, have been superseded by network-enabled devices that offer built-in diagnostic sensing to monitor temperature, voltage, and current. Some can even monitor cycle counts, which can be useful when filing warranty claims. The massive amount of data that these sensors produce presents plant managers with an enormous opportunity to transform the way they operate and maintain assets. The momentum associated with IIoT makes this particularly valuable. The value these smart sensors can add to the implementation of predictive-maintenance strategies should not be underestimated. Today, embedded smart sensors are designed to integrate into a variety of low-level fluid-power products, from connectors, hoses, and tubing to pumps, motors, and actuators. Predictive maintenance is one of the most significant opportunities this concept offers. For example, some control-valve diagnostic data could be invaluable in troubleshooting power issues. Voltage sags that can occur downstream on long runs are common concerns in fluid-power systems because they sometimes lead to misfiring valves. Normally, there is no means of diagnosing the cause of the problem without an oscilloscope. However, if each valve manifold node included voltage sensing, a “sweeper” program would make it possible to record voltage levels across the machine during certain points in the cycle. Smart-sensor technology can even help predict seemingly unpredictable events such as hydraulic hose or connector leakage. Vibration sensors, embedded at the right points on a hose or connector, combined with tools to transfer data to a monitoring system, make it rather easy to write a program to generate a straightforward trend analysis to predict whether a hydraulic leak is likely to occur. Specifying an IIoT-enabled sensor is one challenge. Ensuring that it can communicate with similar devices is an even bigger one. For this reason, it is crucial to choose a sensor vendor that uses a centralized strategy to ensure its smart devices and sub-systems share open communications standards and best practices. IO-Link was the first I/O technology for communicating with sensors and actuators, adopted as an international standard (IEC 61131-9). This open protocol has already proven itself essential in ensuring interoperability across multiple technologies and manufacturers. Consider an example of a pneumatic device used to grip work-piece blanks and load them into position on a machine tool. In this case, monitoring the voltage of the coils across the solenoid valves could offer warnings of impending failure. For scenarios such as this, IO-Link offers an economical means of communication with low-level devices, connecting them to motion controllers that then connect to a factory network and/or cloud. Smart sensors and other IIoT-enabled devices must interoperate with other manufacturers’ products. In fact, any connected digital solution’s value is in direct proportion to its interoperability. The days of proprietary solutions have passed; an open, exchange-based architecture that supports interoperability with third-party products, applications, and platforms is essential. Mention IIoT to some manufacturers and security concerns are certain to become part of the conversation. In fact, concerns about security have been a major factor in dissuading many operations from connecting their machines and devices, particularly to the cloud, and gaining the perspective needed to anticipate failures and optimize performance at the component level. Tim Faillo is global program manager, factory automation at Parker Hannifin, Cleveland (parker.com). Faillo is responsible for the global coordination of R&D, product development, marketing, and sales efforts in the factory-automation markets.